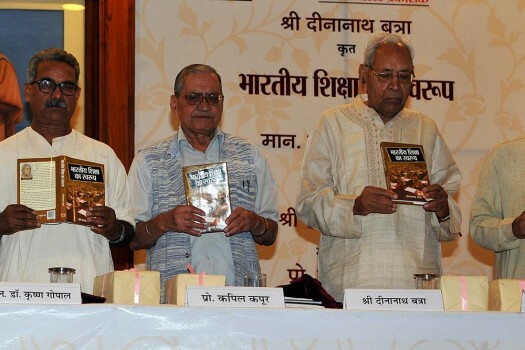 Dina Nath Batra (right), who wants to marry myth to modern science, is out to paint textbooks saffron. 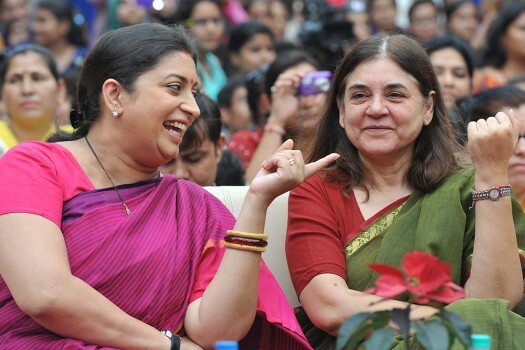 Union HRD Minister Smriti Irani with Maneka Gandhi at the 54th Foundation Day of NCERT Campus, in New Delhi. 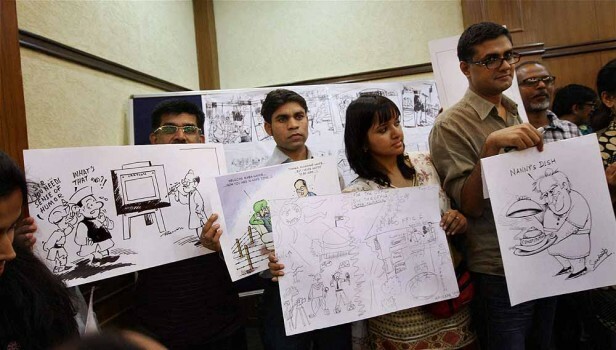 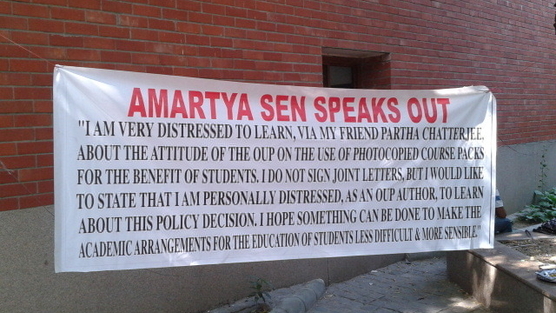 Media professionals holding placards during a protest over the recent cartoon controversy in New Delhi. 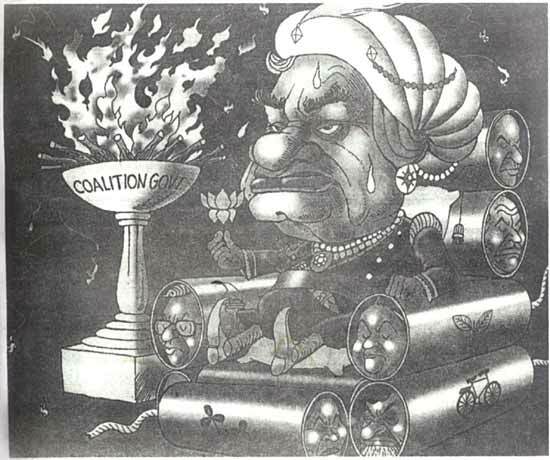 Perils of Running a Coalition Government. 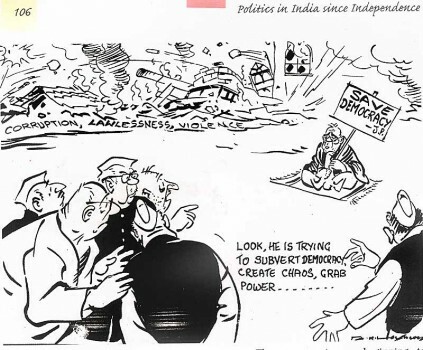 Irfan looks at booth grabbing, having a criminal politician and his armed thugs dissuade an exercise of franchise. 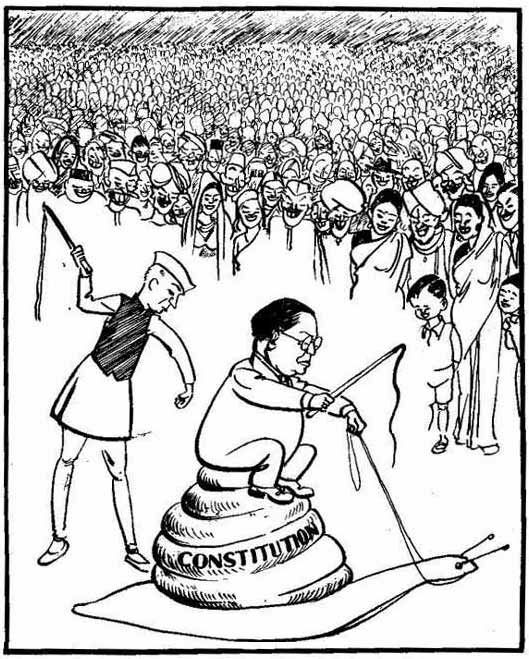 The more things change, the more they stay the same, Ajit Ninan says in a India Today cartoon on the shift from one-party to coalition politics. 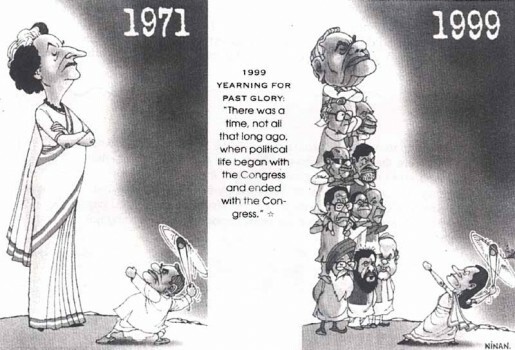 Faction-riven, the Janata Party fell to a resurgent IndiraGandhi in the 1980 polls. 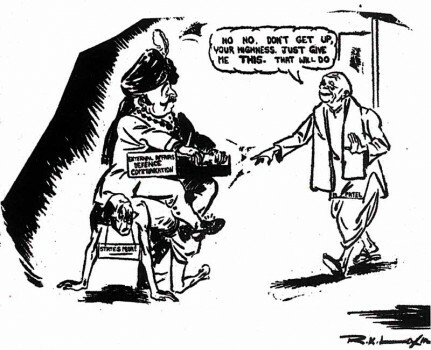 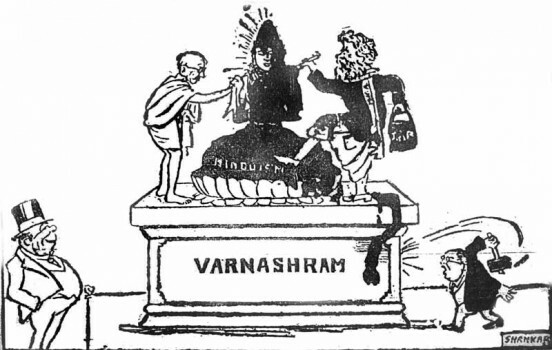 Here, Laxman rubbishes deposed PM Charan Singh. 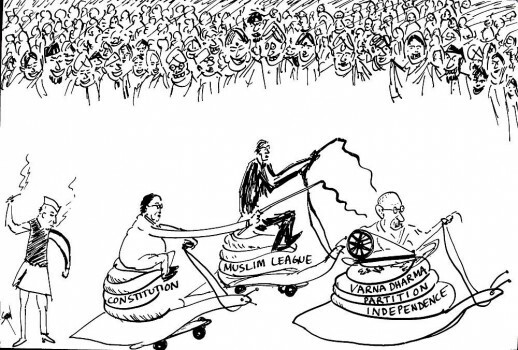 JP fights a painfully lonely battle for democracy against a backdrop of ills in this Laxman piece for Times Of India. 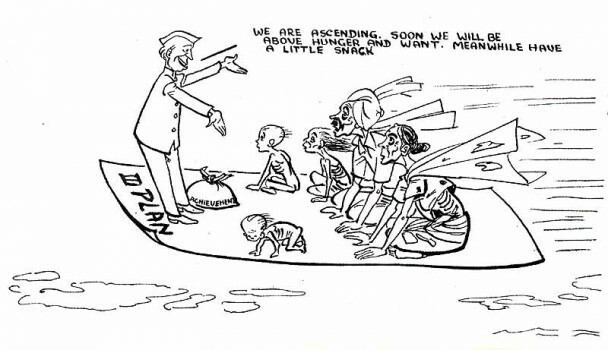 Nehru sells the third five-year plan to a drought-hit farmer family in this Shankar critique likening it to a magic carpet ride. 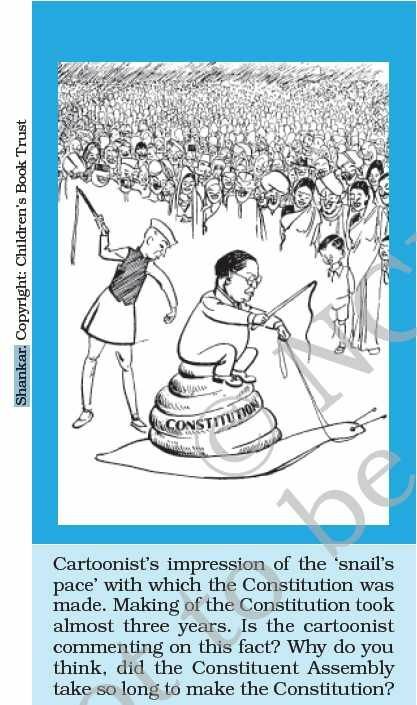 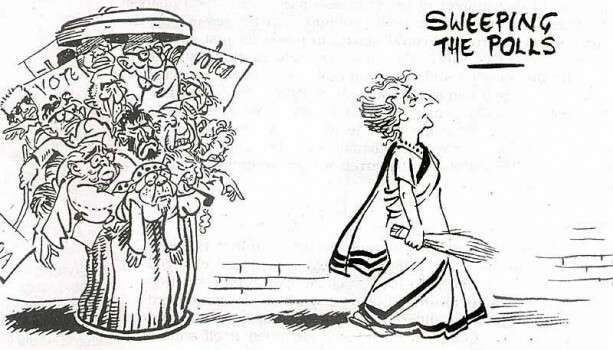 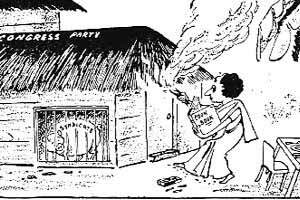 This cartoon comments on the relation between the people and the rulers in the Princely States and also on Patel's approach to resolving this issue. 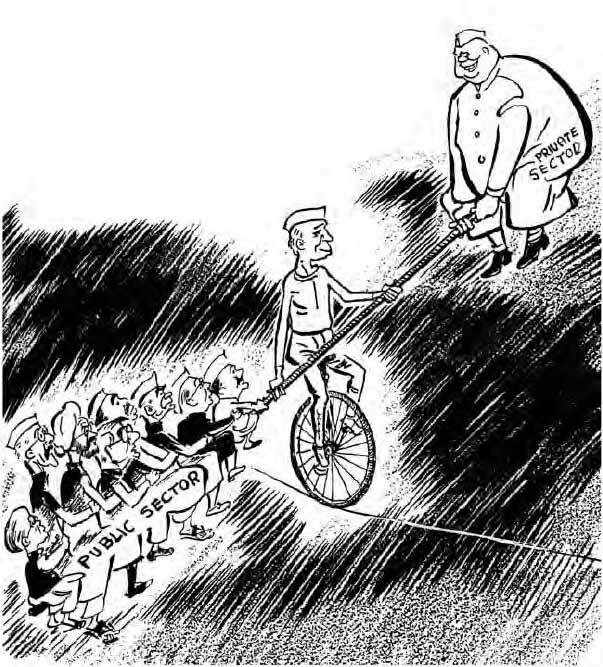 Shankar has Nehru riding along a tightrope, balancing a tad unbalanced beam. 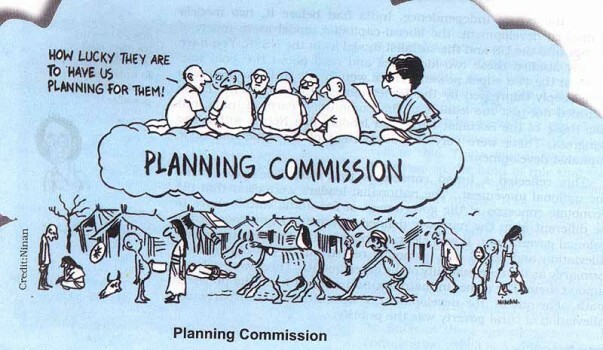 Spot Shastri astride the Public Sector end. 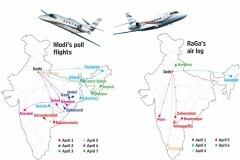 The opposition leader Dhananjay Munde termed it as a tactic to influence young students. 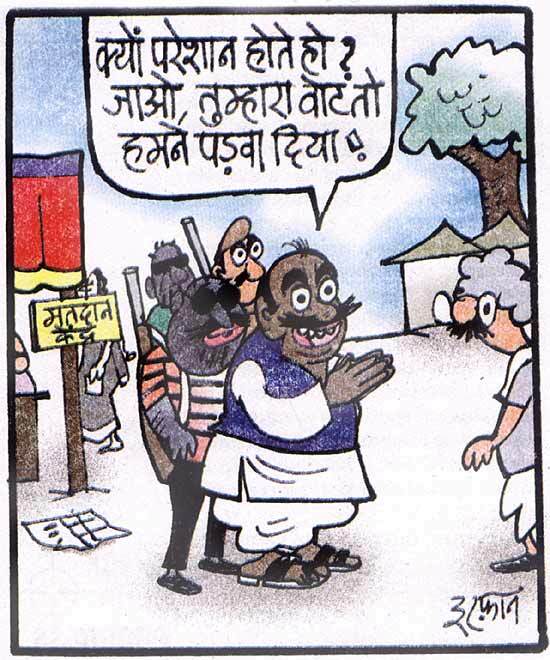 He says In Uttar Pradesh, every religion would be given equal respect, “but we won't accept Pakistani-Talibani culture”. 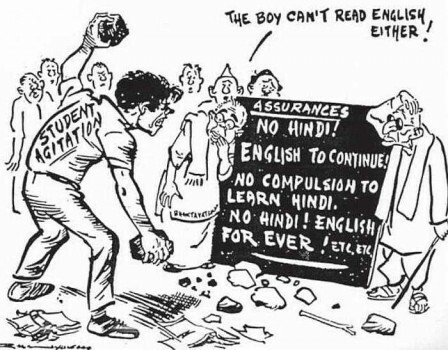 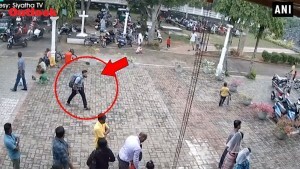 The textbook will be launched by state Education Minister C Raveendranath at Perumbavoor in Ernakulam district, a town with largest migrant labour population in the state.